It's been 11 years for the toys and Andy is now headed off to college. The gang hasn't been played with in years, and has even lost a few members along the way. Andy is forced to make a decision about what to do with his old toys, but through a misunderstanding about where they are supposed to go, the toys end up at Sunnyside Daycare and stage a daring escape plan to get back home to their kid. 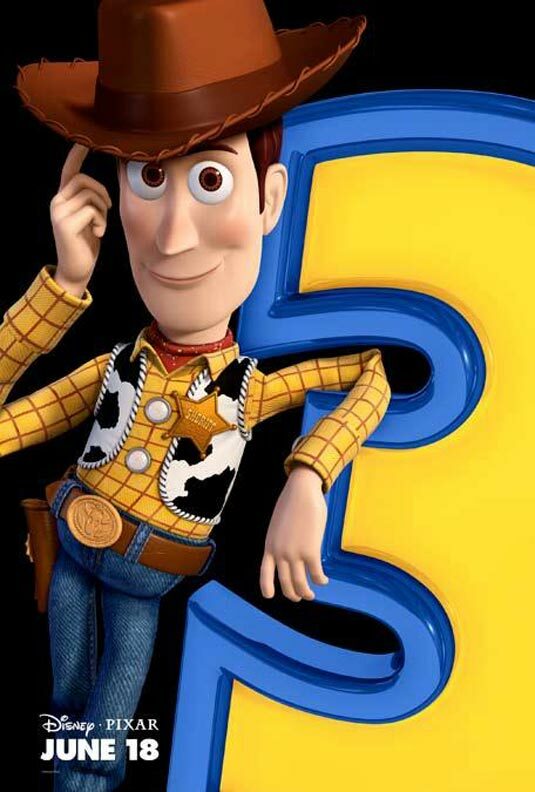 I have no doubt touted my love for all things Pixar in my reviews, and Toy Story 3 furthered that love even more. This film is absolutely the best film of the year and I wouldn't be surprised to find it sitting at the top of my list by year's end. The film is by all accounts perfect. It is hilarious, but for every laugh we get an emotionally wrenching sequence. There is a ton of action, but for every action scene there is a quiet, introspective moment. The emotional punch that Toy Story 3 packs is a hefty one. The end reduced me to tears instantly. I've never cried that hard at a movie. I mean, it's rare for me to get misty during a film, but the amount of story telling power in here is enough to be overwhelming for anyone. You could hear parents crying as they were thinking about their kids growing up and moving out and the last half hour is pretty much nothing but the toys in peril and I was honestly not sure if they were going to make it. Which brings me to the one problem I had with this film. Toy Story 3 is a really intense kid's film. Of course Pixar has always spoken to children intelligently, but there are some moments with the toys that were heart-racing as an adult, and I couldn't imagine what a child would be thinking during some of those scenes. Overall, Toy Story 3 is the most honest and real thing to come out of the movie industry since last year's "UP". Pixar is absolutely the best studio making films today and this one is the best third installment of a film I have ever seen. And yes, I do mean that.